Leaner firms often make their mark in a crowded field by leveraging superior agility versus their competitors, which are often slaves to their own inertia. However, infrastructure may not always provide the flexibility needed to jump ahead of the game. Tokyo-based Deckers Japan G.K., wholly-owned subsidiary of California-based Deckers Brands, finds itself frequently facing off with Japan’s ever-churning machine of processes, approvals, and middle-man contractors. 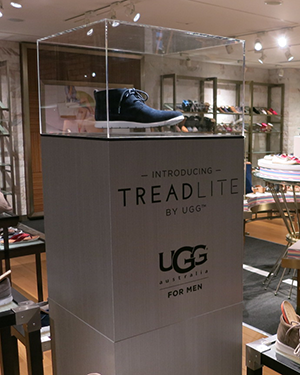 As a designer, manufacturer, and marketer of leading-edge footwear brands such as UGG® Australia, Deckers Japan most recently mounted an aggressively-paced initiative to open new storefronts nationwide. For a growing but still modest Japan team, this was no small task. Though its US parent firm was able to provide resources and know-how for smoother ramp-up, the Japan IT team was up against the myriad paperwork required to bring in contractors to lay down fiber optics and establish internal networks for these new outlets. Much like other lean teams, Deckers Japan’s IT department could not afford to spend the exorbitant time required to navigate Japan’s telecom infrastructure and its complex learning curve, especially given their already high levels of utilization. Likewise, they could not afford the time lost in the event of having the wrong stamp in the wrong box or some other minor indiscretion. Beyond that, Deckers, like other firms, faced wait times on the order of several weeks for wiring, connectivity, and networking hardware; these wait times would have been fatal for Deckers, which would often have two weeks or less of lead time ahead of opening a popup retail store. Enter INVITE Communications – a managed services provider (MSP) working to help restore some of the agility sapped by the time and complication involved in working with multiple providers. 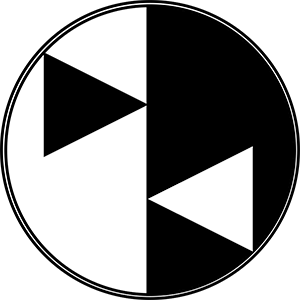 Some of INVITE’s most common operations include contacting and managing multiple infrastructure and other service providers, consolidating invoicing and providing scalability for leaner teams. This isn’t abnormal behavior for INVITE, according to Petit; he cites ongoing cost-competitiveness and prompt service with a personal touch. Other major differences he notes between INVITE and other (larger) MSPs are round-the-clock availability, more future-proof solutions, comprehensive follow-ups, and a focus on educating the client’s staff on a level they will understand. Other Deckers Japan staff echo his comments, citing other projects made far simpler by involving either INVITE or the team behind INVITE before the company was formed: a major call center expansion, head office relocation, etc. From interviews at Deckers Japan, INVITE’s appeal to lean teams seems evident; they provide much-needed guidance and efficient legwork in navigating Japan’s oft-frustrating infrastructure provider network. Their expertise will speak to firms seeking a tailored solution without extraneous internal labor costs.